Proteins, just like fats and carbohydrates, are macronutrients needed for the proper functioning of the human body and its upkeep. And to remain healthy, you need large amounts of it. Proteins are considered the very building blocks of life. The fact that proteins are the second-most abundant type of molecules in the body, beaten only by water molecules, goes to show how important they are. Proteins are made up of several smaller units called amino acids that are linked together to form long chains. The amino acids are organic compounds that are made up of carbon, oxygen, hydrogen, nitrogen and sulfur. Around 20 amino acids exist, different combinations of which form a protein. The protein’s unique structure and function are determined by the combination and sequence of the amino acids. In the human body, every cell contains proteins and they are required for every bodily function, be it biological, chemical, structural or mechanical. However, unlike carbs and fat, the body does not store protein and when the body is low on protein; there is no place to replenish it from. So the body has to depend on getting its protein from the food that you eat. As we know, proteins are important macronutrients that are required for the maintenance and growth of the tissues in our body. 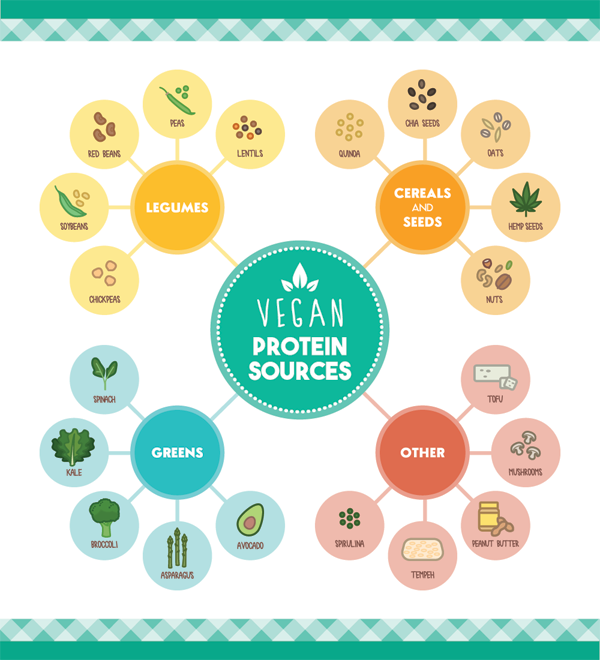 Let us take a look at the various proteins, their importance to our body and their functions. These proteins help to speed up the metabolic processes in the cells such as digestion in the stomach, functions of the liver, blood clotting and conversion of glycogen to glucose. For example, the digestive enzymes break down the food into smaller and simpler forms so that the body can absorb them easily. Hormones are essentially chemicals that are protein-based and are secreted by the endocrine glands. Hormones are chemical messengers that pass on the signals from one cell to another and are transported by the blood. The cells in your body that are affected by a hormone are known as target cells. For example, insulin, which is secreted by the pancreas is a hormonal protein whose function is to regulate the blood sugar levels in the body. They are also known as fibrous proteins and are very important constituents of the body such as keratin, collagen and elastin. Keratin is the key structural component of your skin, hair, nails and teeth. The connective framework of your bones, muscles, skin, cartilage and tendons are formed by collagen. Immunoglobulin or antibodies are proteins that protect you from diseases and are a vital part of your immune system. The white blood cells of the body produce these antibodies that attack the harmful microorganisms, viruses and bacteria. These proteins are mainly responsible for storing mineral ions such as potassium, iron, etc. in the body. For example, iron is needed for hemoglobin that is the main component of the red blood cells. Ferritin is the storage protein that regulates the iron and protects your body in case there is excess iron. These are proteins that transport important materials to cells. For example, hemoglobin transports the oxygen from the lungs to the various tissues in the body and myoglobin absorbs the oxygen carried by the hemoglobin and delivers it to the muscles. They are located on the outer portion of the cells and regulate the entry and exit of substances such as nutrients and water into and from the cell. Some receptor proteins stimulate the endocrine glands to secrete hormones while other receptor proteins stimulate the enzymes. These proteins are also known as motor proteins and control the speed and strength of muscle and heart contractions. Actin and myosin are examples of contractile proteins. If the contractile proteins produce severe contractions, it may cause heart problems. Protein is perhaps the most important component of any healthy diet. Our cells, bones, internal and external organs, muscles as well as all connective tissues need proteins. Apart from the obvious structural and mechanical functions, proteins are key to all chemical and biological functions as well. Now, let’s have look at the primary functions of proteins in our body. Proteins are the most important component of our physical structure. Proteins are the main component of the outer cell membrane in the body. Skin, hair, nail, eyes, muscles and all other organs are made up of proteins. Not only do proteins provide support, they even strengthen our structure. Even movement of muscles and digestion of food need proteins. Maintenance, repair and development of body tissues are impossible without the aid of proteins. In the form of antibodies, proteins help fight infections and diseases. They work with the cells of the immune system and help in destroying antigens like viruses and bacteria. Protein helps to form antibodies that help in preventing illness, disease and infection. These proteins identify and assist in destroying antigens such as bacteria and viruses. They often work in conjunction with the other immune system cells. For example, the antigens are identified and surrounded by antibodies to keep them confined till they are destroyed by the white blood cells. Certain proteins regulate the division of cells to replace old and damaged cells. Unregulated cell division can cause tumors and lead to cancer. Proteins that are enzymes regulate biochemical reactions within the body. Enzymes have an impact on digestion, metabolism, nervous system functions etc. Pepsin is an enzyme that helps break down dietary protein. Certain hormones, like insulin and secretin, are actually proteins. Such hormones regulate several key biological functions like controlling blood sugar level, digestion and metabolism. Hormones even regulate puberty and fertility, etc. Proteins are also a great source of energy. The extra protein left after all other vital bodily functions such as tissue maintenance, etc., is used by the body for energy. If your body is getting enough from other energy sources like carbohydrates, then the extra protein is used to produce fat and become a part of the fat cells. Storage and transportation of molecules within the body are two key functions of proteins. hemoglobin is an oxygen-transporting protein, while ferritin helps store iron in a non-toxic form. Monomeric: Any molecule of protein with just a single chain of polypeptide is called monomeric. Oligomeric: Proteins made up of multiple polypeptide chains is known as oligomeric protein. Fibrous: In fibrous proteins, the peptide chains are elongated and arranged in sheets or filaments. These proteins are structural proteins and perform structural and mechanical functions. Moreover, they are insoluble in water. Elastin, keratin and collagen are examples of fibrous proteins. Globular: Globular proteins are generally water-soluble and have a compact, spherical shape. The structure of globular proteins is more complex than fibrous proteins. Hemoglobin and myoglobin are globular proteins. Simple Proteins: Simple proteins, also known as homoproteins, comprise only amino acids. Collagen, keratin and plasma albumin are examples of simple proteins. Conjugated Proteins: They are also known as heteroproteins. They feature other organic or inorganic compounds in addition to amino acids. Glycoproteins, chromo proteins, lipoproteins and nucleoproteins are all kinds of conjugated proteins. Glycoproteins: These contain carbohydrates in addition to amino acids. Many important proteins fall into this category such as several hormones and enzymes and many blood plasma proteins. The plasma membranes of most cells are made up of glycoproteins. Miraculin and antibodies are good examples of glycoprotein. Nucleoproteins: These contain nucleic acids. Deoxyribonucleoprotein and ribonucleoprotein are both nucleoproteins found in the body. Lipoproteins: These proteins contain lipids. This group of proteins contains several membrane proteins and some blood plasma proteins. Many enzymes, adhesins and toxins can be classified under lipoproteins. Chromo Proteins: They are a heterogeneous group of conjugated proteins. These proteins are colorful proteins. Hemoglobin, myoglobin and other proteins like hemerythrins and cytochromes are examples of chromo proteins. Proteins can also be classified depending on their biological role within the body. Enzymes are proteins that act as biological catalysts. They catalyze all the chemical reactions within each cell in the body. Then there are transport proteins that carry organic and inorganic compounds around the body. Hemoglobin and albumin are common transport proteins. Some proteins are defined by their function of providing structure or support like collagen, elastin and keratin. Some other proteins are categorized by their mechanical work, like myosin and actin. Antibodies, meanwhile, are protein molecules that boost immunity, while hormones control metabolism. While proteins are the building blocks of life as we know it, the building blocks that make up proteins are amino acids, more specifically amino acid chains. Amino acids are organic compounds with oxygen, hydrogen, carbon and often sulfur. When proteins are broken down by the body, amino acids are left behind. Your body then makes use of these amino acids to produce proteins that help the body to grow, repair tissues, breakdown the food that is consumed, etc. Amino acids are also a source of energy for the body. There are 20 different amino acids that are commonly found in all animals. Plants can however have 100 other less common amino acids. Moreover, scientists have even managed to artificially synthesize about 70 amino acids that cannot be found in animals. Alanine, arginine, asparagine, aspartic acid, cysteine, glutamic acid, glutamine, glycine, histidine, isoleucine, leucine, lysine, methionine, phenylalanine, proline, serine, threonine, tryptophan, tyrosine and valine are the 20 amino acids found in animals. Nine of these amino acids cannot be synthesized by the human body, and therefore, they must come from the diet. All amino acids that the human body cannot synthesize on its own, but are indispensable are called essential amino acids. These amino acids must be provided by food as the body cannot manufacture these amino acids. In fact, the quality of any dietary protein is decided by the number of essential amino acids it contains. The body does not store these essential amino acids and hence needs a regular supply of these vital building blocks. Most animal proteins are considered good quality proteins as they contain sufficient amounts of all the essential amino acids. 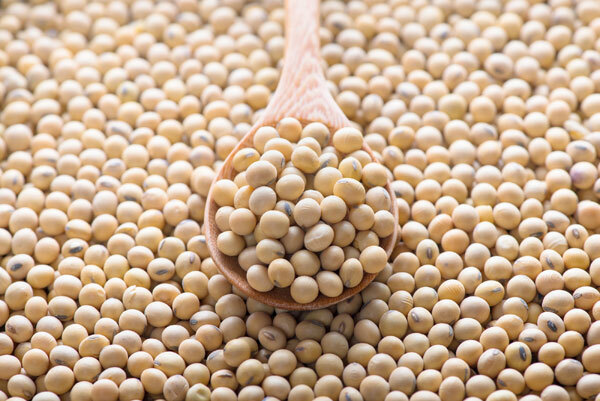 Most plant proteins, however, cannot boast of being good quality proteins, as often, they do not contain all the essential amino acids like methionine, tryptophan, lysine, etc. However, all the essential amino acids need not be a part of every meal. They can be consumed in a balanced manner over the course of the entire day. Therefore, eating a combination of plant-based proteins can ensure that vegetarians and even vegans get sufficient amounts of all essential amino acids in their diet. There are nine essential amino acids: methionine, threonine, leucine, lysine, histidine, tryptophan, phenylalanine, isoleucine and valine. The amino acids that the body is able to make on its own using the essential amino acids or by breaking down whole proteins are called nonessential amino acids. The five nonessential amino acids are aspartic acid, alanine, glutamic acid, asparagine and serine. There are six amino acids are not required by the human body all the time. Their need is felt only in the times of stress or illness. For instance, an infant born prematurely would need these amino acids. These six amino acids – arginine, glycine, cysteine, proline, glutamine and tyrosine – are called conditionally essential amino acids. Each one of the 20 amino acids needed by the human body has an important role to play. So let us analyze which amino acid does what and which food product is a good source of the particular amino acid. Histidine is an essential amino acid required for synthesis of proteins. It is imperative that you consume histidine nutritionally. The amino acid is vital, especially for infants and growing children. Histidine plays a crucial role in several metabolic functions. It is a precursor for histamines, which are organic compounds involved in immune response and plays a vital role in the synthesis of purines. Histidine is considered to be a metalloprotein as it combines with and transports a number of metals, including iron. It is needed for absorption of calcium. Low levels of histidine have been linked to rheumatoid arthritis. In infants, a deficiency of histidine can cause eczema. Meat, poultry, dairy products, fruits like grapes and banana are rich sources of histidine. Green vegetables and root vegetables also have lesser amounts of this essential amino acid. Isoleucine is an essential amino acid that needs to be ingested as the body cannot make it on its own. 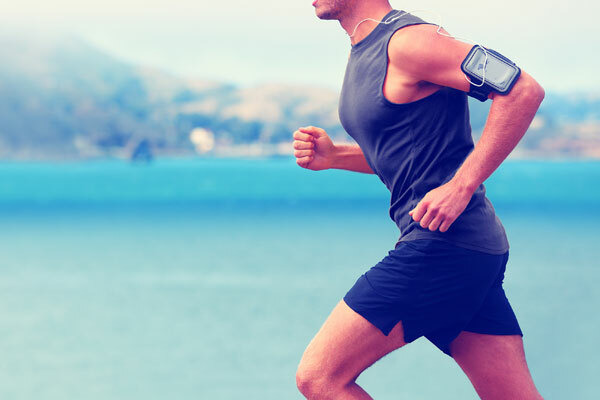 Isoleucine’s primary job is to help the body recover from hard physical activity. This amino acid helps increase endurance and also repairs muscle tissue. Healing of wounds by encouraging clotting is also credited to isoleucine. Serious endurance athletes and bodybuilders need a lot of isoleucine in their diet. However, individuals with impaired kidney or liver function should consult their physician before taking isoleucine. The inability to break down the amino acid is linked with Maple Syrup Urine Disease. In extreme cases, MSUD can cause brain cell damage. Soy, eggs, seaweed, chicken, fish, cheese, etc. have high doses of isoleucine. An essential amino acid, leucine is a key component of the subunits in astacin, ferritin and other buffer proteins. Leucine is used in the adipose and muscle tissues and even the liver. Leucine is used to make steroids by adipose and muscle tissues. Toxicity of leucine can spark delirium and can be fatal. An overdose of leucine may lead to pellagra as well. The main symptoms of pellagra include dermatitis, diarrhea and dementia. It can ultimately lead to death. The upper limit of leucine in a healthy adult man is about 500 mg per kg of body weight per day. Leucine must be obtained from a protein-rich diet including soybean, hemp, almonds, wheat germ, fish, etc. Lysine is an essential amino acid, which is required for building muscle protein. It plays a key role in many other biological functions and must be taken as a part of the diet. The amino acid plays a crucial role in the production of antibodies, hormones and enzymes and recovery from surgery or injury. Even calcium absorption is credited to lysine. The production of collagen and elastine is indirectly linked to lysine. Good lysine sources are meat and dairy products, chicken, beans and soy. 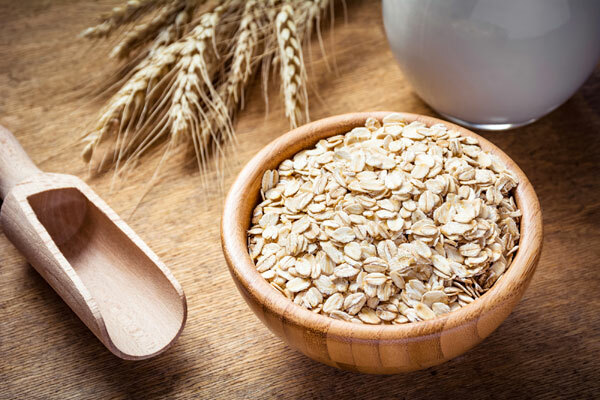 In cereals, lysine is a limiting amino acid, which means it is present only in the smallest quantities. However, lysine density is high in pulses. Therefore, a vegetarian diet combining cereals and pulses should take care of the lysine requirement. Methionine, an essential amino acid, is required for the formation of new blood vessels. Supplementation of methionine may help individuals suffering from depression, schizophrenia, Parkinson’s disease, radiation, drug withdrawal, copper poisoning, allergies and even asthma. An overdose of methionine has been linked to cancer in some studies. Studies have also found that restricting the consumption of methionine can increase lifespan. By following a vegan diet, methionine consumption can be controlled in humans. However, methionine should not be completely eliminated from your diet. Lack of this amino acid can cause greying of hair. Methionine is found in sesame seeds, fish, meat, Brazil nuts, eggs and some other edible seeds. Methionine is an intermediate during the biosynthesis of cysteine, taurine, carnitine, etc. Threonine is an essential amino acid which plays an important role in the functioning of the central nervous system, immune system, as well as, the cardiovascular system. The human body is not capable of making threonine on its own and must get it from dietary sources. In microorganisms and plants, the amino acid is made from aspartic acid. In the human body, threonine is converted to glycine, which in turn works in the brain to reduce unwanted muscle contractions. This amino acid is also needed to maintain proper protein balance and production of elastin and collagen. Threonine helps fight fatty liver and assists in the production of antibodies. The use of this amino acid can bring relief to patients suffering from multiple sclerosis. However, an overdose of threonine can prove to be very harmful as it may disrupt kidney and liver functions. Foods like sesame seeds, cottage cheese, lentils, fish, meat, chicken, beans, etc. are good sources of threonine. An essential amino acid, phenylalanine cannot be synthesized by the body. It is, however, found naturally in the breast milk of mammals. Phenylalanine is used as a nutritional supplement for its antidepressant and analgesic effects. The amino acid is used to combat depression, attention deficit-hyperactivity disorder, osteoarthritis as well as a skin condition vitiligo. Phenylalanine is found abundantly in chicken, eggs, beef, liver, milk, and soybeans. Even tofu, spinach and lupin seeds can provide some methionine. Valine is an essential amino acid. It is synthesized in plants, but must be a part of the diet for humans as the body cannot synthesize it on its own. Valine works with leucine and isoleucine to promote healthy growth, control blood sugar, repair tissues and generate energy in the body. Additionally, valine is also needed for proper mental functioning. Valine is known to prevent muscle breakdown by providing extra glucose to the muscles for energy during strenuous physical activity. It can also remove excess nitrogen from the liver. Damage caused to the liver and the gallbladder due to excess alcohol and drug abuse can be treated with valine. But too much valine can be harmful. It may cause hallucinations and even a skin crawling sensation. Excess of valine in the diet may also disrupt kidney and liver functions and increase the ammonia content in the body. Most dietary proteins like meats, chicken, eggs, milk, soy, legumes, etc. contain valine. Also an essential amino acid, Tryptophan is a precursor to serotonin and melatonin, which are neurotransmitters. It needs to be ingested as a supplement or as a part of a protein-rich diet because the human body is not able to biosynthesize it. Tryptophan is known to stimulate growth hormone release and control the cravings for carbohydrates. It can help you kick that sugar addiction. 5-hydroxytryptophan, or 5HTP, is a tryptophan by-product, which boosts the feeling of well-being and safety by increasing the production of serotonin. Tryptophan is used as a sleep aid, an antidepressant and an anxiolytic. The amino acid is also used as a prescribed drug in certain countries for indications of major depression. Tryptophan is a constituent of almost all protein-rich foods like oats, milk, eggs, poultry, peanuts, red meat, etc. It is also found in chocolate, sunflower seeds, spirulina and bananas. Many believe that turkey has an abundance of tryptophan; however, the bird has no more tryptophan than normal poultry. Alanine is used by the body for biosynthesis of proteins. The body is able to synthesize alanine on its own, making it a non-essential amino acid. However, it is also provided by a number of food items, especially animal proteins. Alanine plays a key role in the transportation of amino groups and carbons from the muscles to the liver. This process is called glucose-alanine cycle. Studies have found a link between increased levels of alanine and hypertension. The amino acid is known to help in the metabolism of sugars and other organic acids. Alterations in the alanine cycle are also linked to rising risk of type-2 diabetes. 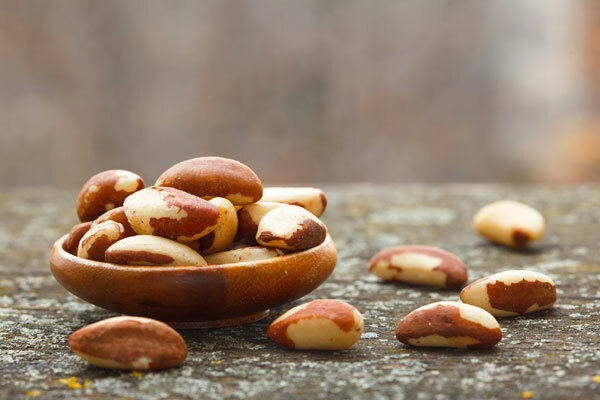 Alanine may play a role in prostate health as well. Additionally, it helps produce antibodies and strengthens the immune system. Meat, dairy, eggs, fish, seafood, gelatin, etc. all carry alanine. Vegetarian food items like whole grains, soy, legumes, beans, nuts are also providers of alanine. A protein synthesizing amino acid, asparagine is a nonessential amino acid. It was the first amino acid ever to be isolated. Asparagine was isolated in 1806 from asparagus juice by chemists Louis Nicolas Vauquelin and Pierre Jean Robiquet. This amino acid is required for ammonia synthesis and for proper development and function of the brain. Though the human body does not need asparagine from an external source, several food items have rich deposits of asparagine. Asparagus, legumes, potatoes, whey, beef, fish, etc. are abundant in asparagine. The human body is capable of synthesizing aspartic acid, or aspartate, which is needed for protein biosynthesis. The body synthesizes aspartic acid on its own from oxaloacetate. It can also be derived from ornithine and citrulline. 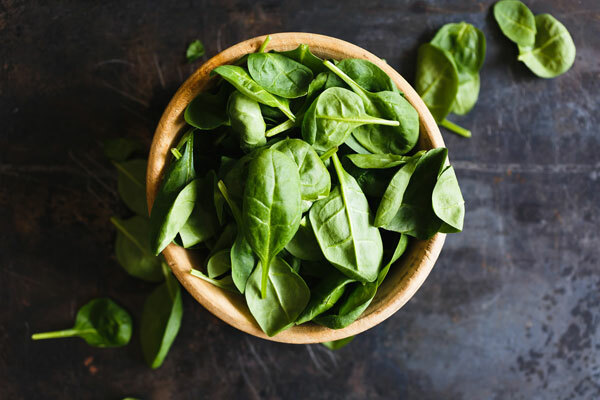 In microorganisms and plants, aspartate is the precursor to other amino acids, including methionine, threonine, lysine and isoleucine, which are four of the nine essential amino acids. In fact, even asparagine is derived from aspartic acid. In the human body, the role of aspartates is to biosynthesize proteins. It also participates in gluconeogenesis, which is the process of glucose generation from a non-carbohydrate carbon substrate. Aspartic acid also acts as a neurotransmitter. This amino acid presents scope for commercial use as well. It is used to produce biodegradable superabsorbent polymers, resins, corrosion inhibitors and low-calorie sweeteners. It is used by the fertilizer industry as well. Aspartic acid, or aspartate, is found in meat, oysters, young sugarcane, asparagus, avocado, sugar beets, etc. Glutamic acid is synthesized by the body, making it a non-essential amino acid. It has an important role in cellular metabolism and is necessary for the disposal of excess nitrogen. It is also an excitatory neurotransmitter playing a part in neural activation. When the amino acid is present in an unbound form, it enhances the flavor of the food product. 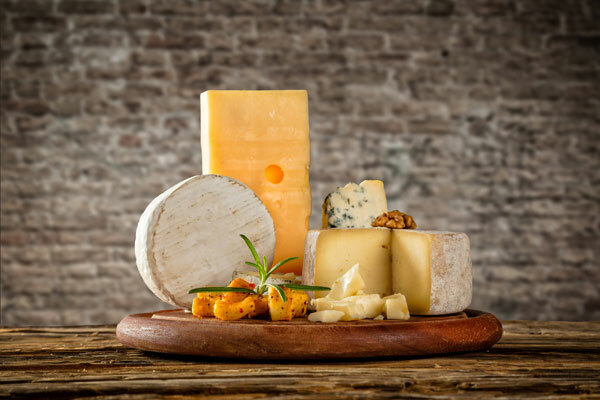 Glutamic acid in cheese gives it the distinct umami flavor. It is, therefore, also used as a flavor enhancer. The salt of glutamic acid – monosodium glutamate – is a common food additive. Glutamic acid is present in every food product that has a protein content – poultry, dairy, meat, kombu, wheat, etc. Glycine, considered the smallest amino acid, was first isolated in 1820. It can be synthesized by the body using another amino acid serine and therefore it is a nonessential amino acid. Glycine is a precursor to other proteins and is also a neurotransmitter. It is known to improve sleep quality and has produced promising results in tests being conducted to check glycine’s effects on schizophrenia. Glycine also protects the liver from the effects of alcohol and shields the kidneys from the side-effects of certain prescription drugs. Memory enhancement and cancer prevention are two other areas where glycine has a possible role. Commercially, glycine is added to pet food. For humans, this amino acid is sold as a taste enhancer. Antiperspirants, analgesics and other cosmetics also use glycine. Most protein rich foods like fish, dairy, meat and legumes are sources of glycine. Proline is a non-essential amino acid, which means the human body is capable of synthesizing proline on its own from L-glutamate. Interestingly, proline is the only proteinogenic amino acid with a secondary amine. Proline is a good source of nitrogen and it is needed for collagen formation, tissue repair, arteriosclerosis prevention and blood pressure maintenance. It leads to healthy skin, heart muscles and joints. Proline supplements are recommended to those suffering from skin disorders due to collagen deficiency. Though you are not required to ingest proline in the form of food, it always helps to know which food products are the sources of proline. Asparagus, beans, bamboo shoots, cabbage, eggs, fish and seaweeds are all rich in proline. 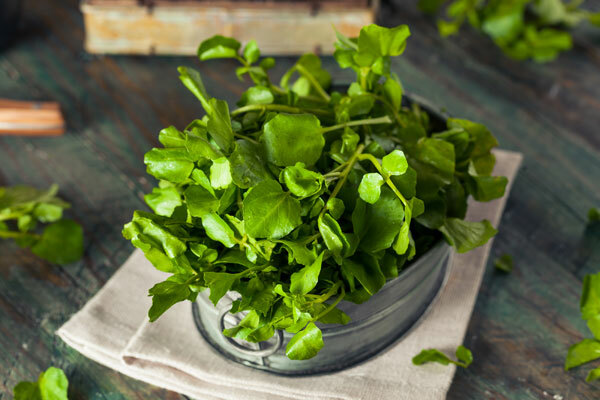 Watercress, whole grains and legumes also contain proline. Serine, which is required for biosynthesis of newer proteins is produced by the body on its own and is, therefore called a nonessential amino acid. Serine plays a very crucial role in metabolism by taking part in the biosynthesis of purines and pyrimidines. Serine is also a precursor for other amino acids like cysteine and glycine as well as other metabolites like folate and sphingolipids. Sphingolipids are lipids that aid in signal transmission as well as cell division. Serine breaks down fat, helps in tissue growth and aids in the production of antibodies and immunoglobulins. It is also a constituent of nerve sheaths and brain proteins. Serine is also the key to DNA and RNA function and creatine synthesis. However, excessive serine can have an adverse effect on the immune system. Serine encourages the synthesis of glucose in the liver. The amino acid stabilizes the body against drastically rising and falling blood sugar levels. Meat, eggs, dairy and poultry products are rich sources of serine. 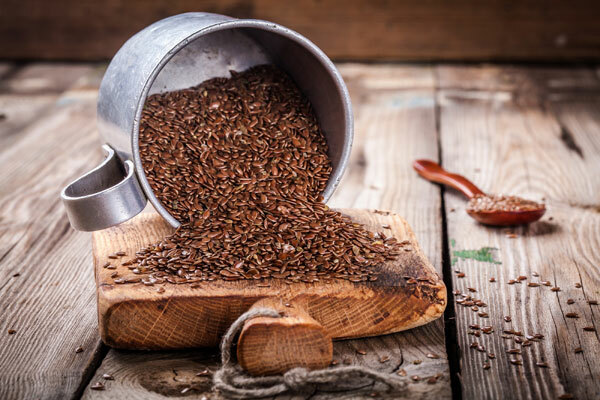 On the vegetarian side, flax seeds, sesame seeds, pumpkin seeds, lentils, chickpea and asparagus are good sources of this amino acid. Tyrosine is a nonessential amino acid needed for biosynthesis for proteins. Tyrosine plays a role in photosynthesis and also acts as a receiver of the phosphate groups transferred by protein kinases. Tyrosine is made in the body from phenylalanine. The amino acid is known to increase levels of plasma neurotransmitters like norepinephrine and dopamine. Studies have shown that tyrosine helps during stress, fatigue and sleep deprivation. In times of stress, tyrosine can assist in bringing down stress hormone levels and controlling stress-related weight loss. It can also boost better cognitive and physical performance in humans. 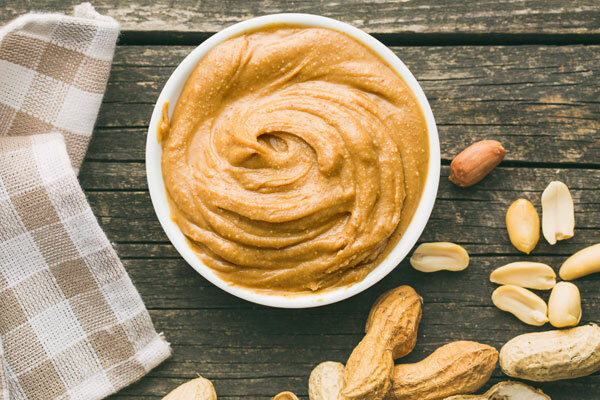 Tyrosine is also contained in many high-protein foods like cheese, peanuts, eggs, turkey, chicken, soy products, lima beans, avocados and bananas. Arginine too is used by the body to synthesize proteins. It is a conditionally essential amino acid. Its requirement depends on an individual’s health condition. People with healthy bodies can produce arginine in sufficient amounts and do not need a dietary source for it. However, premature babies are not able to create arginine in their bodies and therefore, this amino acid needs to be provided nutritionally to them. Arginine is needed for cell division, hormone release, removal of ammonia from the body, healing of wounds and other immune functions. Dairy products, seafood and meat are good sources of arginine. Wheat germ, peanuts and oats too can provide this conditionally essential amino acid. Cysteine is a conditionally essential amino acid. While a healthy individual does not need to get cysteine from food, the amino acid may become essential for infants, elderly and others who have the malabsorption syndrome or any metabolic disease. 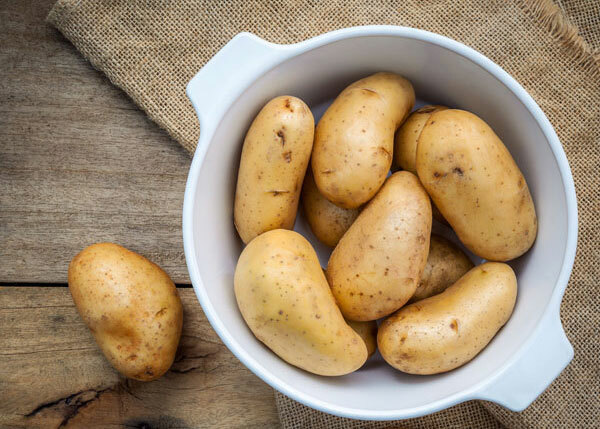 Cysteine is known to have antioxidant properties and is an important source of sulfide. Since it counteracts the toxic effects of acetaldehyde, cysteine is being proposed as an antidote for the unsavory after-effects of alcohol and hangover. Interestingly, sheep need cysteine to produce wool. Most high-protein food items – dairy, meat, poultry, granola, oats, onions, garlic, etc. – contain cysteine. Glutamine is yet another conditionally essential amino acid. Its primary duty is to biosynthesize proteins inside the body. Under normal circumstances, the body synthesizes adequate amounts of glutamine. In blood, glutamine is the most abundant free amino acid. However, when under stress, the body may demand more glutamine, and then the amino acid should be taken in the form of food. Apart from protein synthesis, this amino acid has a wide range of biochemical functions. It has a role in lipid synthesis and regulation of kidney acid-base balance. Glutamine is also a nontoxic ammonia transporter. Glutamine is used as a component of oral supplements to reverse cachexia (muscle wasting) in individuals with advanced cancer. Pork, beef, fish, chicken, cabbage, spinach, parsley are good sources of glutamine. Each protein molecule contains oxygen, hydrogen and carbon, and almost all protein molecules contain sulfur as well. Some protein molecules may even contain zinc, copper, phosphorous and iron. Protein molecules are large in size and have high molecular weights, and they are made of 20 amino acids in varying amounts. The different amino acids are joined by chemical links that are called peptide bonds. They form linear polymeric structures called polypeptide chains. These chains can feature hundreds of amino acid residues and are arranged in different sequences to form different kinds of proteins. 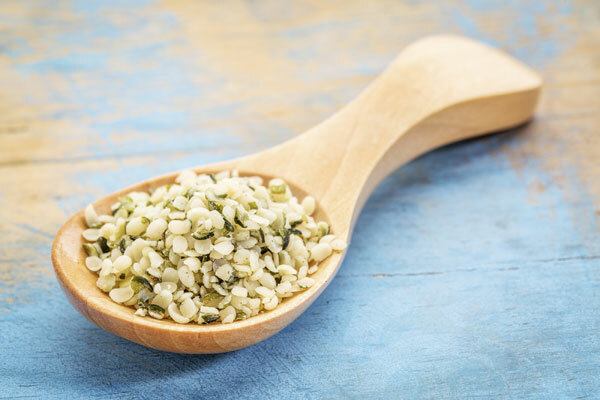 During the process of digestion, whole proteins are broken down by the digestive enzymes into a single amino acid or smaller chains of just two to three amino acids. This is because the intestinal cells cannot absorb whole proteins. These small amino acid chains are called peptides. After whole proteins are broken down, the amino acids are absorbed into the bloodstream and then transported to various parts of the body where they are re-assembled to make different kinds of proteins. This process of amino acid absorption in the blood stream can be termed as protein absorption. Most of the amino acids and peptides are first taken to the liver, where most of the new proteins are synthesized. The excess proteins are further broken down to act as fuel to boost metabolism. Amino acids and peptides are drawn into your bloodstream by certain special cells lining the small intestine. Now, there are just so many of these special cells in the intestine. As a result, only a limited amount of amino acids gets absorbed into your blood every hour. The rate of absorption is different for different types of proteins. Some proteins can be absorbed very quickly, while others take a long time. The absorption rate ranges from 1.3 grams per hour to 10 grams per hour. The human body comprises around 20 percent of proteins and since the body does not store protein, it is very crucial for the body to get proteins from the diet to carry out all functions. 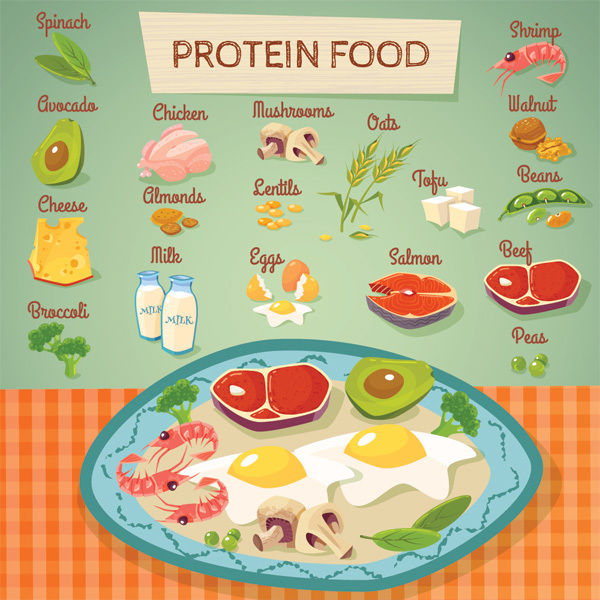 Proteins can be categorized as plant proteins also known as incomplete proteins and animal proteins or complete proteins. Animal proteins are also known as complete proteins as they contain all the amino acids required by the body to function efficiently and keep it healthy and fit. Animal proteins are found in foods such as eggs, meat, poultry, seafood and dairy and this protein is similar to that found in the human body. 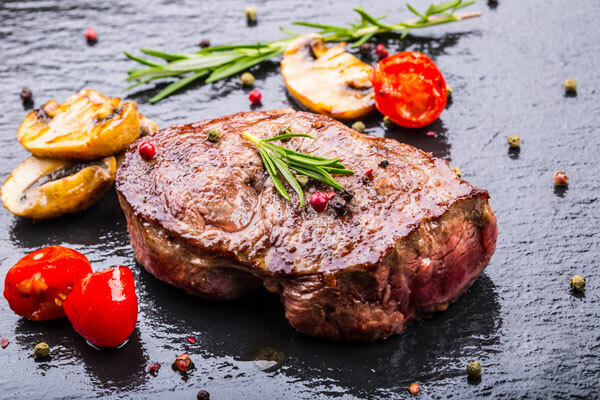 Foods that contain animal protein are high in many nutrients that are not present in plant-based foods such as vitamins B12 and D, DHA, zinc and heme-iron. 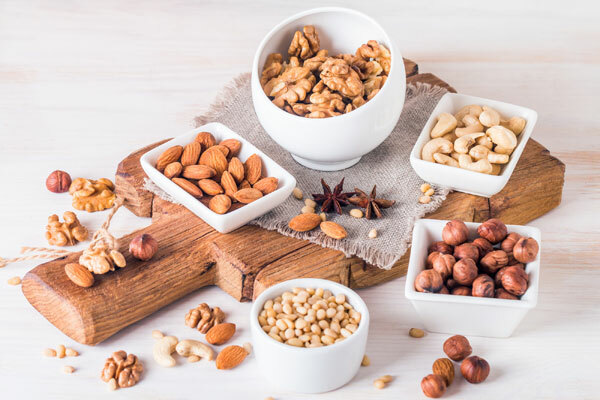 On the other hand, plant proteins are regarded as incomplete proteins as they are deficient in one or more of the amino acids essential for your body’s requirements. Plant proteins or incomplete proteins must be consumed in combinations and in larger amounts so that you can get the range of proteins that is required for optimal health and functioning of the body. 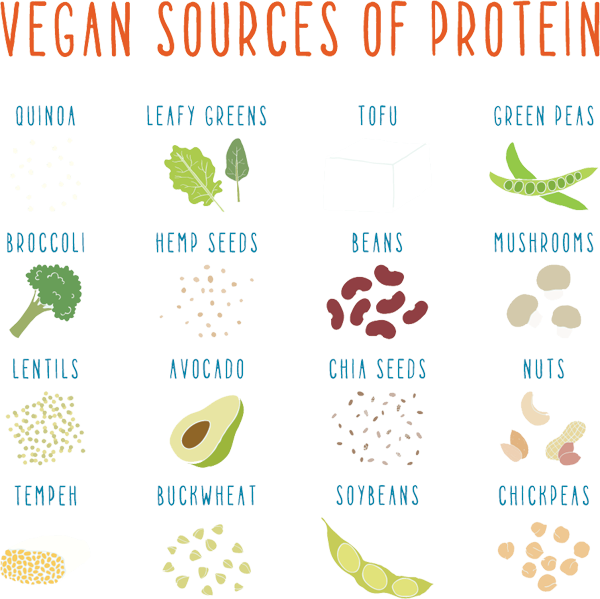 Examples of plant protein sources are lentils, nuts, vegetables, cereals, seeds and beans. However, there are several advantages of getting your protein quota from plant-based foods. Foods like cell division, soy, nuts, seeds, etc. are very healthy and eating more of these foods mean that your saturated fat and dietary cholesterol consumption is much lower. Hence, the bottom line is that animal foods are the best choice for you to get sufficient protein, since plant sources lack one or more amino acids, you may not be able to get all the protein required from plant sources. However, plant foods contain plenty of nutrients that may be lacking in animal foods. So the best way to go is to eat balanced quantities of foods from both sources to get all the nutrients you require. Protein can be obtained from a wide range of food products. Fish, dairy, poultry and red meats are all rich sources of protein. 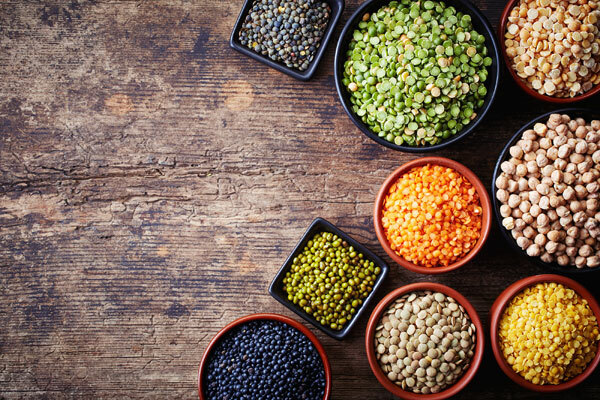 In a vegetarian diet, legumes, pulses, soy, seeds and nuts are protein rich. Experts from the Institute of Medicine recommend that at least 10% of daily calories should come from proteins. However, the amount should not exceed 35%. While the daily protein requirement varies from person to person, depending on the level of physical activity, age, gender and even general health condition, the Institute of Medicine has prescribed certain guidelines. Babies need about 10 grams of protein daily, young children need between 19 and 34 grams of protein. Teenaged boys must take in about 52 grams of protein, and teenaged girls about 46 grams. 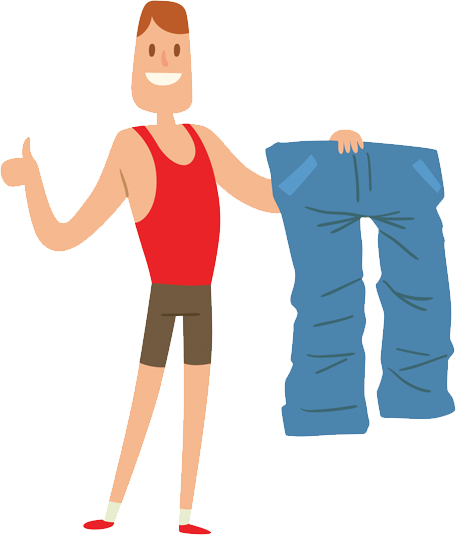 On a daily basis, an adult male requires 56 grams of protein. An adult female can make do with 46 grams. However, pregnant women need at least 71 grams of protein every day. Sportspersons, bodybuilders, endurance athletes and people recovering from illness need more proteins than an average person. How to Calculate Protein in the Diet? It is very easy to confuse “grams of protein” with “grams of protein-rich food”. For instance, an egg may weigh nearly 45 grams. 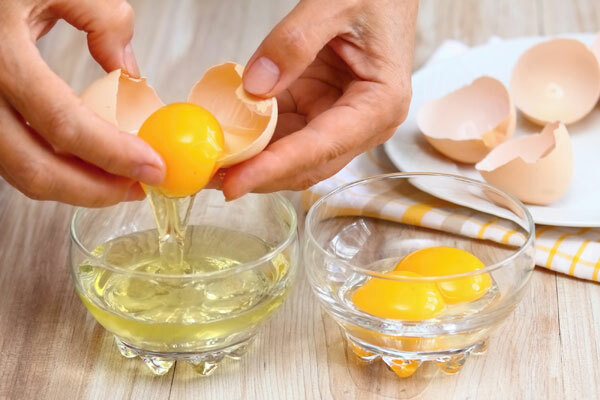 But eating that egg does not mean you have consumed 45 grams of protein. 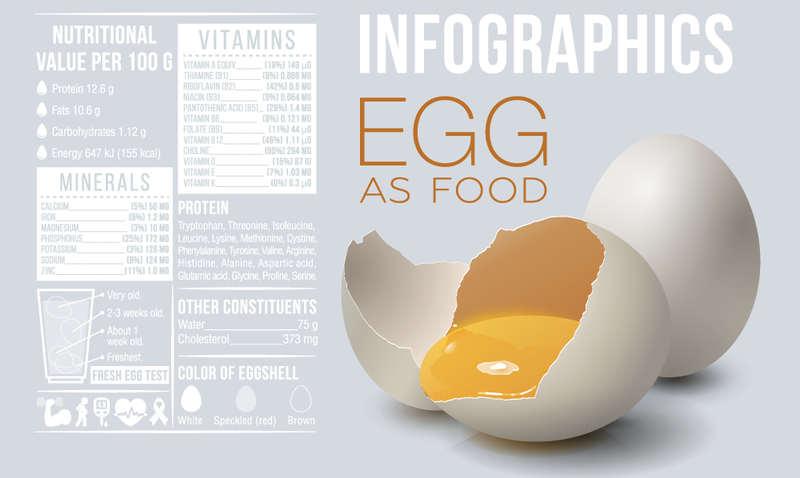 The actual protein content of that egg is only 6 grams and that is exactly how much protein you have consumed. Similarly, eating a 266 gram beef steak will not give you 266 grams of protein. The steak has just 61 grams of actual protein. Your daily protein intake should, therefore, be calculated taking the actual protein content of a protein-rich food into account. However, if you eat a balanced diet that complements your activity level, you are most likely already consuming adequate amounts of quality proteins. Adequate protein is required to build and conserve healthy muscle mass in your body. Protein also supports the development of ligaments, tendons and other tissues in the body. When there is a deficit in amino acids, the muscle wastes away or atrophies as the body begins to break down the muscle fibers to meet its energy requirements. 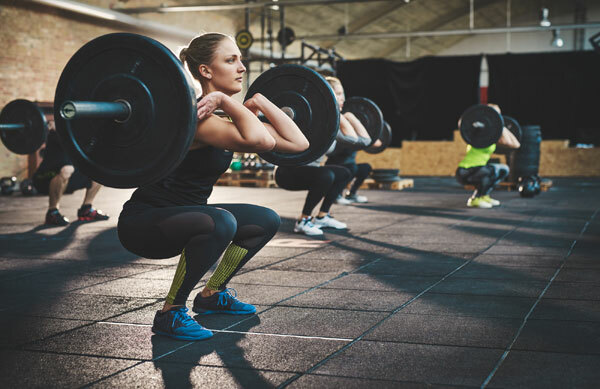 After any physical activity such as strength training, etc., the body requires protein as the exercise tears the muscle tissues so that they can grow back stronger. To repair the tissue damage and for effective tissue building, the body requires extra protein. Studies show that consuming protein before and after exercise can help to stimulate muscle synthesis, improves recovery of the muscle and helps in treating aching muscles. Protein helps to fill you up and keep you satiated for longer periods of time and can also stop you from overeating. 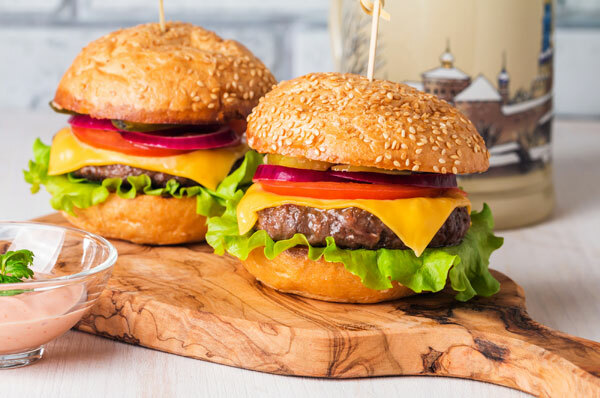 Research shows that by controlling your calorie consumption, and following a moderately high protein diet can help you lose weight effectively. This is because foods that are high in protein can help you feel full for longer than carbs or fats and this can help you to avoid snacking or overeating. Also, eating protein-rich food causes a process called thermogenesis in the body that requires more energy to digest food. Protein also helps to prevent loss of muscle mass resulting from a low-calorie diet. This indeed makes protein a “superfood” for weight loss. The hormone insulin is required for the metabolism of carbs, proteins and fats in the body. However, carbs require more insulin to be broken down when compared to fats or proteins. The blood sugar level is dependent on the glycemic index of the foods you consume. When you eat foods that are high in sugar or carbs, it results in fluctuations in the blood sugar level. However, eating protein-rich foods does not have much of an effect on the blood sugar levels and also slows down the absorption of sugar. As a result, a protein-rich diet can help to avoid fluctuations in the blood sugar level. This is very vital for balancing energy levels, preventing the incidence of type-2 diabetes and keeping your mood, as well as, your appetite under control. Proteins are a very important component required to produce hormones, neurotransmitters and enzymes that are vital for the cerebral function. The brain needs a stable supply of amino acids to keep up the energy levels, focus and concentration. Research shows that when the brain is deprived of amino acids, learning and coordination suffers, but as the amino acids are reintroduced, motor skills and learning begins to improve. Protein is associated with strong and healthy bones. 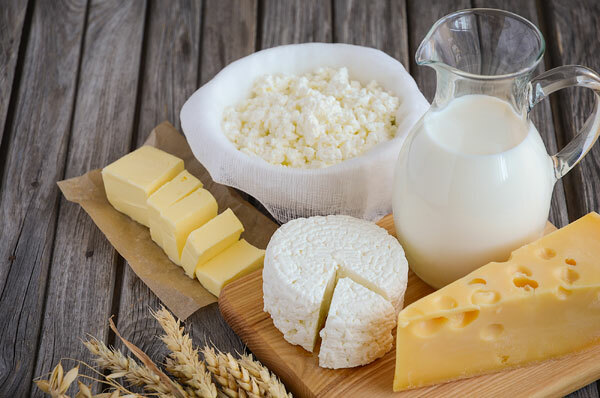 A high-protein diet can help in healing broken bones and preventing problems such as fractures, bone weakness and osteoporosis, by helping bone metabolism, by increasing the absorption of calcium. Studies reveal that people who consume only around 16-50 grams of protein daily have the greatest bone loss. 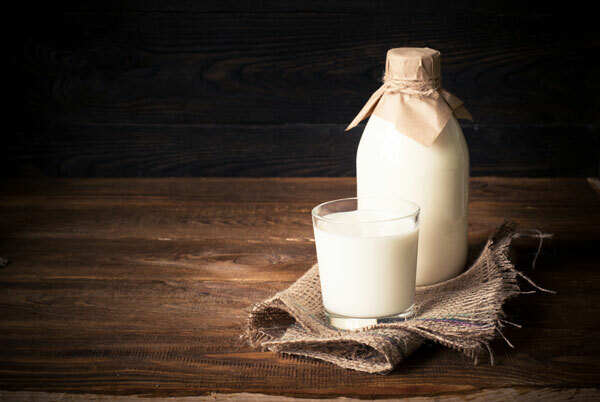 When you consume less of protein, the factor that aids bone development is inhibited which has a negative effect on bone formation and phosphate and calcium metabolism in the bones. Protein helps to produce glutathione, also known as the master antioxidant. Glutathione is stored in the cells and helps the body to detoxify and reduce the agents that cause aging. 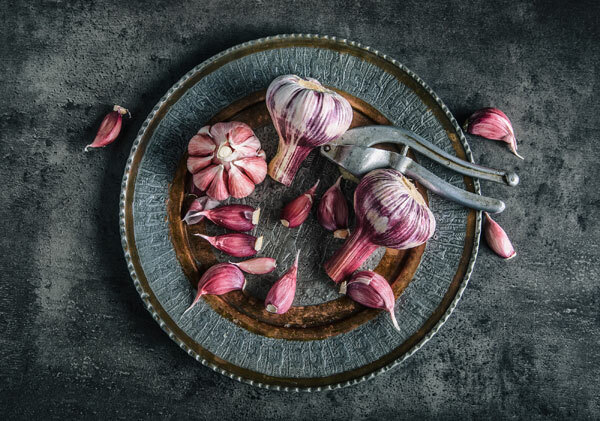 Deficiency in glutathione causes “oxidative stress” that increases the risk of diseases related to aging such as Parkinson’s disease, cystic fibrosis, sickle cell anemia, liver disease, Alzheimer’s disease, viral infections and cancer. A diet that is rich in amino acids can help to reduce sarcopenia or muscle attrition due to aging. 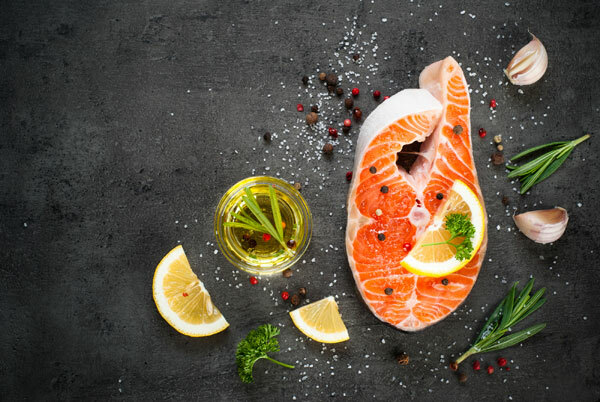 A protein-rich diet can help to slow the process of aging by protecting the bones, keeping the muscle mass intact, and sustaining the immune and cognitive function. In older people, deficiency in amino acids can lead to heart problems, muscle loss, eye problems, mood swings and weakness. The body becomes less efficient and less capable of producing amino acids on its own, as you get old. 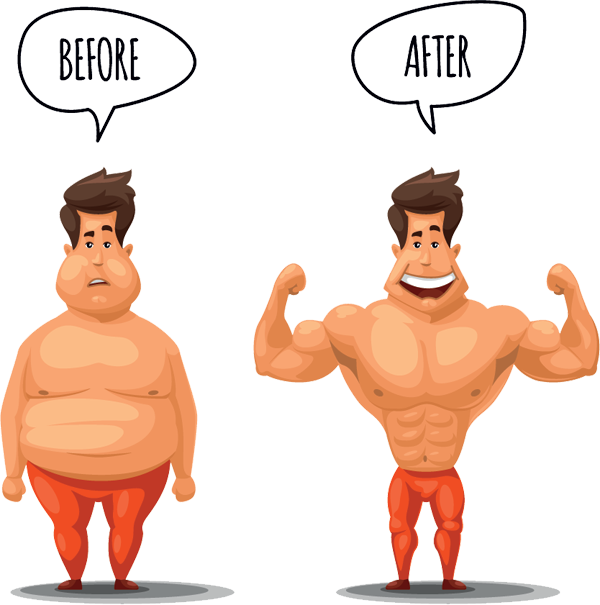 This results in the tendency to accumulate fat over the years and loss of muscle. Hence, it is very important that you consume plenty of foods that are rich in proteins and can help to maintain optimum weight, keep you energetic, and keep your memory sharp and strong. Research shows that as your protein intake increases, the risk of heart disease decreases, as protein is a natural cure for high blood pressure. Also, if you substitute carbohydrates with proteins, then there is a reduction in triglyceride and “bad” cholesterol levels. This may be because diets that are high in protein, balance the blood sugar levels and prevent the causes of heart disease like diabetes and obesity. Some of the amino acids present in protein-rich food help to naturally balance the hormones. They help to alleviate anxiety naturally and also help to control your mood. Proteins act as neurotransmitters and also help in the production of hormones like serotonin and dopamine that help us to keep you calm and positive. People lacking in the important amino acids experience depression, moodiness, anxiety and weakness. Since protein helps to stabilize the sugar levels in the blood, it prevents irritability, mood swings and food cravings that are caused due to spikes in the sugar levels. Proteins are on the must-have list of every person trying to lose weight and there is a very good reason for that. The formula for weight loss is very simple — consume fewer calories than you burn. A protein-rich diet helps attain this energy balance. Protein intake is known to boost the metabolic rate and keep you satiated for longer. As a result, you consume fewer calories even as you burn more of them. If the total dietary calorie intake in form of protein is about 30%, then your daily metabolism can go up by nearly 80 to 100 calories when compared to low-protein diets. This translates to about 150 grams of protein for someone on a 2000-calorie diet. In women especially, a diet with at least 30% protein calories can reduce total calorie intake by 441 calories. So, just by increasing protein intake, you can lose weight much faster. 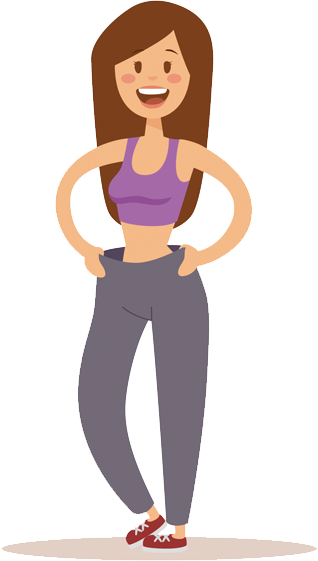 This animated character lost a ton of weight after increasing her daily protein intake. Look at how fit she is (notice the waistline)! Muscles are made up of proteins, more specifically amino acids. Therefore, good-quality protein intake is imperative if your goal is to get bigger and stronger muscles. But how exactly do muscles get big? To answer this question it is important to understand how proteins build muscles. Muscles get stronger and bigger only when they get stretched while contracting against some resistance. Lifting weights causes muscles to stretch before they start contracting. This causes small tears in the muscles, which in turn causes muscle soreness. Later, when you rest, your muscles start to recover and they get stronger than before they were stretched. Amino acids consumed in the form of protein after a session of a strenuous workout, help in the faster recovery of muscles. However, it is also important to remember that the human body is incapable of storing excess protein. If all the protein consumed is not needed by the body, it breaks it down as fuel for energy. If all the energy is not consumed, it then gets stored in the body as fat. So how much protein do you need to consume to effectively gain muscle mass? Though various studies have reached different conclusions, it is widely believed that between 1.5 grams and 2.2 grams of protein per kilogram of body weight is sufficient. Even if you are not trying to lose weight or gain muscle mass, you may still be in need of a protein-rich diet plan. If you are an endurance athlete or generally lead an active lifestyle, you would need more proteins. People with jobs that are physically demanding, those recovering from injuries and the elderly also have greater protein requirements. While endurance athletes should have between 1.2-1.4 grams of protein per kilogram of body weight, elderly people must consume 0.45-0.6 grams of protein per kilogram of body weight. This will help them combat osteoporosis and sarcopenia. Today, high-protein diets have become so popular that one feels that you can eat as much protein as you want. However, this far from the truth! Consuming excessive protein can be quite harmful to your health. Eating too much protein, more than the body’s requirements can lead to several problems such as weight gain, dehydration, extra body fat, eroding of vital minerals from the bones and stress on the kidneys. It is true that our body requires proteins as they are important building blocks for the bones, muscles and production of several hormones. The body cannot survive without proteins. However, there is a limit to how much protein you can consume. Let us look at some dangers of consuming excessive protein. When you consume protein, you also consume nitrogen by-products that the kidneys need to flush out. If you consume proteins in normal quantities, the kidneys have no problem in flushing out these nitrogen by-products via the urine. However, if you consume too much of protein, beyond the required the limit, the kidneys have to work extra hard to flush out the extra nitrogen. Over time, this can lead to kidney damage. When you are on a high-protein diet and you cut down your carbs to a minimum amount, your body enters a condition known as ketosis, where it begins to burn and utilize fats as fuel for energy instead of the carbs. When the body burns fats, it releases chemical compounds called ketones, which can result in bad breath. 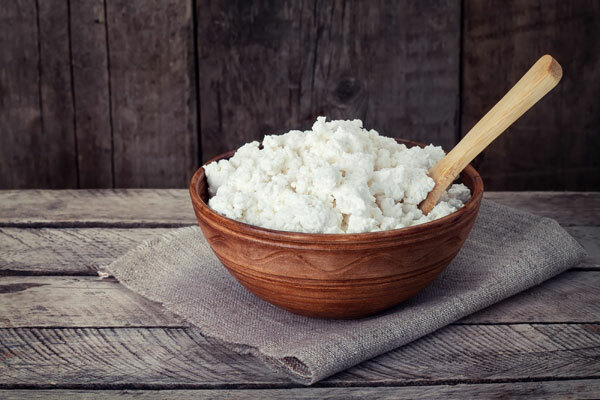 Foods like cottage cheese and chicken breast are great sources of protein, but they do not have sufficient fiber to keep the digestive system functioning efficiently. 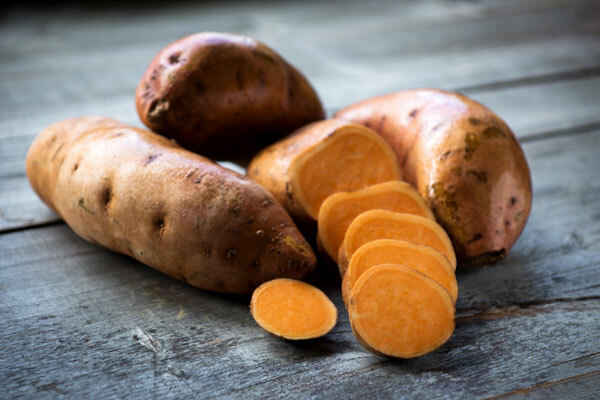 If you replace many of the complex carbs from your diet such as beans, whole grains, fruits and veggies with animal proteins, then you will not get the recommended quantity of fiber i.e. 25-35 grams per day. As a result, you will end up feeling bloated and constipated. In the short run, a diet high in protein may help you shed those pounds, but if you load up on proteins, you may end up gaining weight instead of losing it if the diet is not correctly followed. A study showed that people who followed a diet mostly consisting of proteins and less of other food groups were overweight as compared to those who ate other foods. As you know, excessive protein in the diet can lead to ketone build-up in the body which can lead to kidney damage. This also results in loss of excessive water leading to dehydration. Other symptoms of following a ketogenic diet are headache, heart palpitations, fatigue and dizziness. There can be excessive stress on the heart and a high-protein diet can also result in the decline in bone calcium and muscle mass in the body. Your brain requires carbs to produce serotonin, the mood-regulating hormone. By removing the carbs from your diet, you are more likely to feel fatigued, cranky, irritable and in a bad mood. The key to losing weight or improving overall health is choosing your proteins wisely. Consume a diet with the right amount of high-quality proteins from plant, as well as, animal sources and follow a healthy and balanced diet. Protein, as we all know, is the macronutrient that forms the major portion of cells, tissues and organs in the human body and provides the body with energy for various activities. The process of digestion breaks down proteins into amino acids that repair the tissues in the body. Proteins also help in the production of new cells, building muscles, healing wounds, regulating enzymes and hormones and promoting immunity. 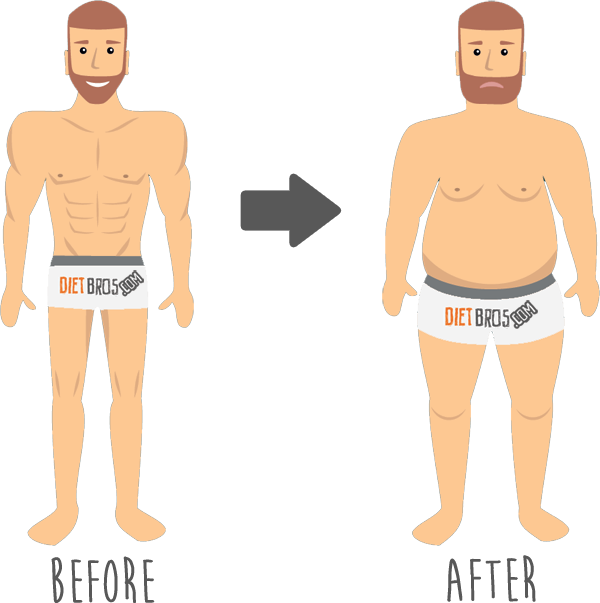 A diet low in protein can be quite harmful and let us now take a look at the effects of protein deficiency. Deficiency of protein in the diet can cause weakness, soreness and cramping of muscles. Muscle growth and strength is supported by protein and a lack of which can cause a reduction in muscle strength and function and also a decrease in lean muscle mass. This also results in loss of body fat. This wasting away of fat and muscle tissue is known as cachexia. Protein helps in cell regeneration and helps in new cell production. If you do not consume enough protein, the skin becomes very light and burns very easily on exposure to sunlight. The skin may also become dry, cracked and flaky and you may get rashes. Wounds and ulcers may take a long time to heal due to protein deficiency. Protein helps in nail formation and the lack of protein can cause brownish or white spots on the nails. Ridged or brittle nails are also indicators of protein deficiency in your diet. Hair comprises 90 percent of protein. Low protein consumption causes hair to become very dry, sparse, and brittle that breaks off very easily. Protein deficiency also causes hair loss or thinning of hair. Protein plays a central role in preventing excess fluids from accumulating in the tissues. Protein helps the body to maintain and regulate the appropriate electrolyte and fluid balance in the body. If the protein levels are insufficient, there is fluid build-up in the body especially in the feet, hands, ankles and abdomen and this is called edema. Protein is an important factor in protecting your immune system and strengthening it. Protein helps in building antibodies, red blood cells and white blood cells that protect and defend the body from the attack of pathogens, bacteria and viruses. When the body does not have adequate protein, the white blood cells decrease, resulting in a weak immune system that is susceptible to infection. Protein shortage causes a drop in the sugar levels and causes the body to look for an instant solution. You may experience hunger pangs and food cravings and end up snacking on unhealthy foods such as candy or junk foods to satiate those cravings. Protein helps to carry nutrients in the body and releasing them when required. When there is a lack of protein, the body’s homeostasis is interrupted, which can cause lethargy, headache, nausea, fatigue, loss of appetite, irritability, insomnia, weakness, etc. That is untrue! 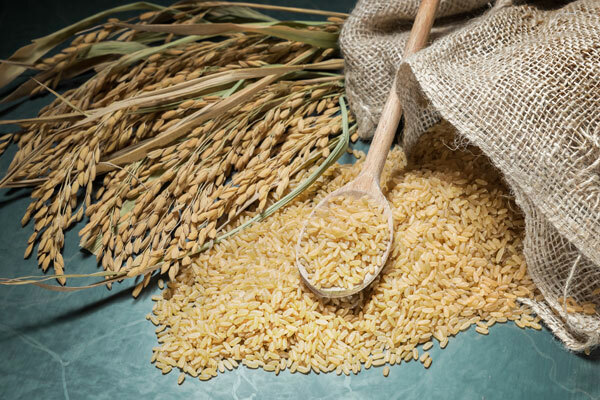 Whole grains, veggies and legumes are fantastic resources of protein and do not carry the health risks associated with animal products and meat. For example, a cup of lentils contains 16 grams of protein and does not have cholesterol. A broccoli stalk contains more than 4 grams of protein and is very low in calories. Proteins, as well as carbs, are necessary for a healthy and nutritionally balanced diet. Carbs are the main source of energy for the body and should constitute major portion of your meal. 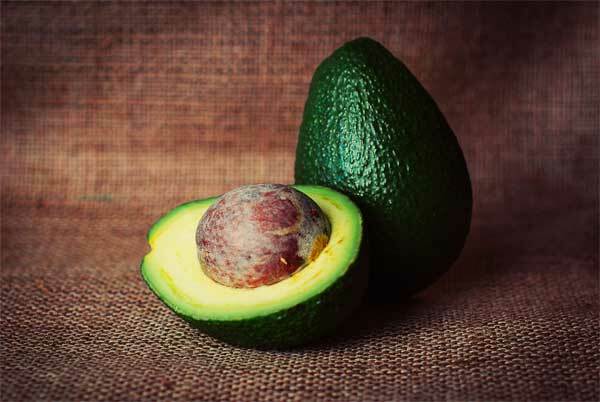 Fruits, veggies, grains and beans are regarded as carbs, but at the same time, they are great sources of protein, fiber and other vital nutrients. Deficiency in carbs causes the body to start burning fat for energy, resulting in ketosis which has unpleasant side effects such as gastrointestinal problems, bad breath, fatigue, etc. If you eat plenty of meat and dairy products, you are probably getting twice the quantity of proteins than your body actually requires. This can be harmful to health. A study shows that people consuming a diet with animal proteins constituting most of the diet have a greater risk of diabetes. Too much protein consumption is associated with ailments such as impaired kidney function, osteoporosis, cancer and heart disease. Whether the source of calories is from carbs or from proteins, calories remain calories. The excess calories from protein will not be converted into muscle. In order to lose weight, you need to follow a balanced diet with all the necessary nutrients. Instead of consuming fortified protein meals, a better option is to include plant-based proteins in your diet. A protein’s quality is established by its capacity to provide the 8 essential amino acids required by the body for tissue growth, maintenance and repair. 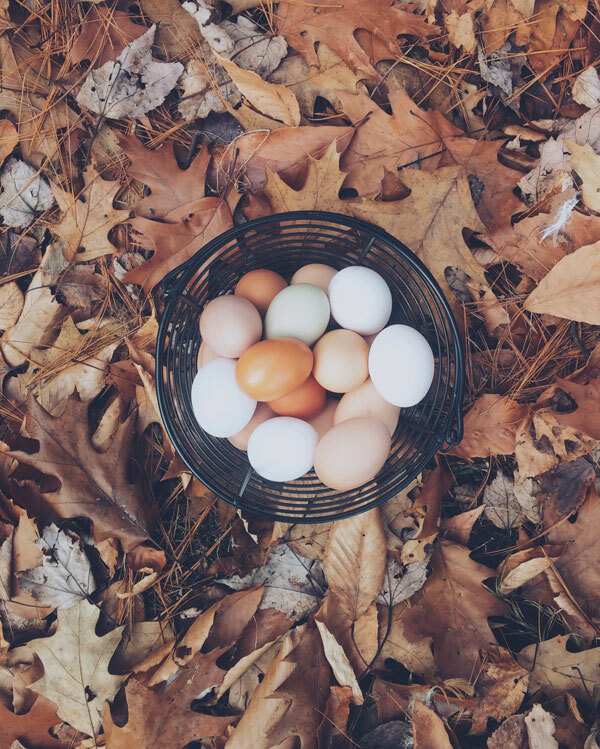 Proteins such as meat, eggs, dairy, fish, poultry and soy are regarded as high-quality proteins as they contain the vital amino acids in the required proportions. The body repairs and builds muscles throughout the day and not at one go. Hence, the quality and quantity of protein you consume at every meal matter. After strength and resistance training, young adults must consume 20 grams of high-quality protein during every meal and around 20 grams of protein at regular intervals of 3-4 hours throughout the day for maximum advantage. Older adults require around 30 grams of protein at every meal and to stimulate muscle production, they require around 40 grams of protein after resistance training. As you grow older, you begin to gradually lose muscle mass, a process that begins at the age of 40 years. This is called sarcopenia. However, following a routine of resistance training along with a balanced diet that has higher protein content can help to reduce loss of strength as well as muscle. Also, as we grow older, the body needs more protein for muscle protein synthesis. Normal people following a sedentary lifestyle require lesser protein than endurance athletes. 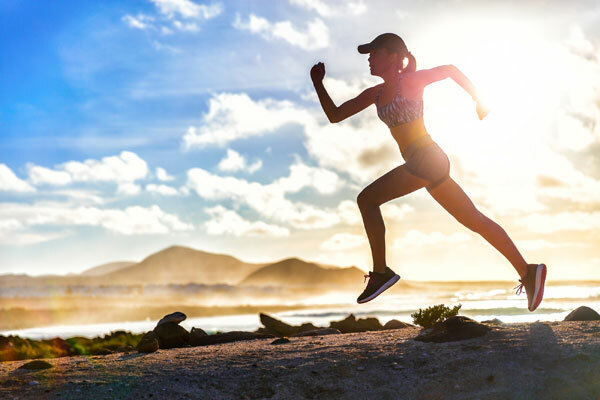 Consuming protein can help athletes to recover quickly from their endurance routine and it also helps to reduce the inflammation and soreness that is caused due to the muscle tissue breakdown. Also, the ability of your body to refuel the muscles with glycogen can be improved by adding protein to your post-workout carb-rich diet. Old bones are constantly broken down by the body and replaced by new bone tissue. Bone formation, as well as, muscle tissue building requires protein. However, protein also causes loss of calcium. To solve this problem, you must consume a diet that is rich both in protein and calcium. It has been established that proteins are absolutely necessary. The body cannot function without these building blocks. Many popular health and weight-loss diet programs are pegged on the idea of a high-protein diet. But a healthy body needs carbohydrates and fats, of the good kind, also. A 2006 review in the International Journal of Sports Nutrition and Exercise Metabolism claimed that people on a high-protein and low-carbohydrate diet often feel fatigued and have headaches. The review added that excess protein intake can cause diarrhea and nausea. 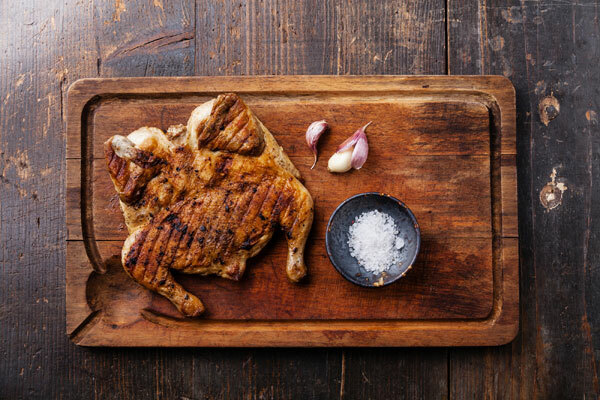 Though there is no conclusive evidence yet, some studies hint at the possibility of a high-protein diet being linked to kidney disease, prostate cancer and also diabetes. Too much protein in a diet means the kidneys have to work overtime to get rid of all the excess nitrogen. People with kidney diseases should ideally not consume too much protein. Additionally, a report of the American Institute for Cancer Research, Food, Nutrition, and the Prevention of Cancer found that meat-heavy diets were linked with some types of cancer. While the jury is still out on the long-term safety of diets that are loaded with just proteins, common sense suggests a well-balanced diet is the best way forward. 4 What are Proteins Made Up Of? 6 How Does the Body Use Protein? 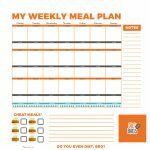 9 How to Calculate Protein in the Diet?